Passwords are the most common way of protecting documents from unauthorized access. Many programs such as Adobe Acrobat and Microsoft Office allow you to set a password which must be entered to open the protected file. This is fine if you do not intend to share the document with anyone else; only you need to know the password, and as long as you do not tell anyone the secret code, your document is safe. However, if the document is to be shared with others, passwords are a less than ideal solution. When you share a password-protected file, you must also share the password. The classic example is attaching the file to an e-mail, and writing the password in the message. Now what happens if the recipient of your e-mail attached file hits the “forward” button and shares the file and the password with the world? As you can see, the fact that the password must be shared with the protected contents neutralizes much of the protection. Let’s face it; it is a hassle to have to enter a password every time you open a file, even more so if the password is not easily remembered. We have all gone looking through old e-mails to look for the password for a file we received, and if we cannot find it, we ask the sender to re-send the password. Now the sender has to go and find the password that he or she used. 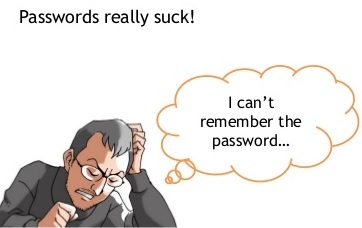 And, if the password is easy to remember, such as “password”, then its effectively useless. Anyone with the password can access your file. If your password is compromised, then anyone can open your document. A more effective strategy is to limit who can access your data, not just putting a lock on it. At HoGo, we have developed a document distribution / sharing platform that is more effective, and much easier to use than simple password protection. By giving you control over who can access your documents, what they can do with them, and for how long; you are safe from the risks of stolen, shared, or lost passwords. And by eliminating the need to enter a password every time, life is a whole lot easier for the recipient too.